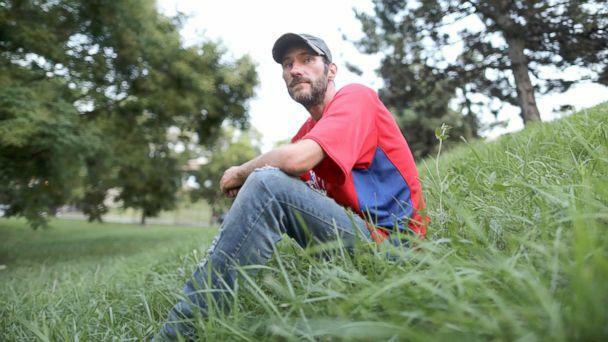 The lawyer for one of the suspects in an alleged GoFundMe scam released a secret bombshell tape recording Monday that he says shows his client's ex-boyfriend and the homeless veteran they were purportedly helping duped her into joining the $400,000 swindle. Kate McClure's attorney played the tape on ABC's "Good Morning America," saying she made it after Johnny Bobbitt accused her and her boyfriend, Mark D'Amico, of cutting him out of his share of donations. In the tape, which has not been verified by ABC News, McClure, 28, and D'Amico, 39, engage in a heated and expletive-laced argument in which she put the onus on him and he countered by saying she was complicit in the fleece. "You started the whole f------ thing. You did everything. I had no part in any of this, and I'm the one taking the f------ fall," McClure's is heard supposedly telling D'Amico on the recording. D'Amico allegedly responded, seeming to say, "You don't go to jail for lying on TV, you dumb f---." He was apparently referring to the blitz of media interviews the now-former couple and Bobbitt, 38, did to further the scam, according to New Jersey prosecutors. "But who made me lie on TV?" McClure is heard on the tape asking D'Amico. "Who cares?" D'Amico allegedly shot back. He then asked her about $2,500 in ill-gotten gains she allegedly spent on a trip to California. "You act like you didn't spend a dollar. Stop it!" D'Amico allegedly told McClure. McClure is then heard replying, "I'm not acting like that. I never said I didn't spend a dollar." In a stunning twist in what the public and more than 14,000 people who donated during last holiday season, thinking they were helping a homeless veteran get off the streets, prosecutors charged McClure, D'Amico, and Bobbitt last week with second-degree theft by deception and conspiracy to commit theft by deception. "The entire campaign was predicated on a lie," Burlington County Prosecutor Scott Coffina said at a news conference on Thursday. "Less than an hour after the GoFundMe campaign went live McClure, in a text exchange with a friend, stated that the story about Bobbitt assisting her was fake." Attorneys for D'Amico and Bobbitt have yet to respond to ABC News' requests for comment on Gerrow's allegations or the tape. Prosecutors say McClure was well aware that the trio concocted the tale that got the whole criminal feat rolling: the heart-tugging story that Bobbitt used his last $20 to buy her gas when her car stalled out at the I-95 offramp in Philadelphia near where the former Marine was living on the streets at the time. GoFundMe says it is refunding all donations made to Bobbitt and sent donors an email last week explaining how to get their money back. "While this type of behavior by an individual is extremely rare, it's unacceptable and clearly it has consequences. Committing fraud, whether it takes place on or offline is against the law," GoFundMe said in a statement, adding that it is fully cooperating in the investigation. 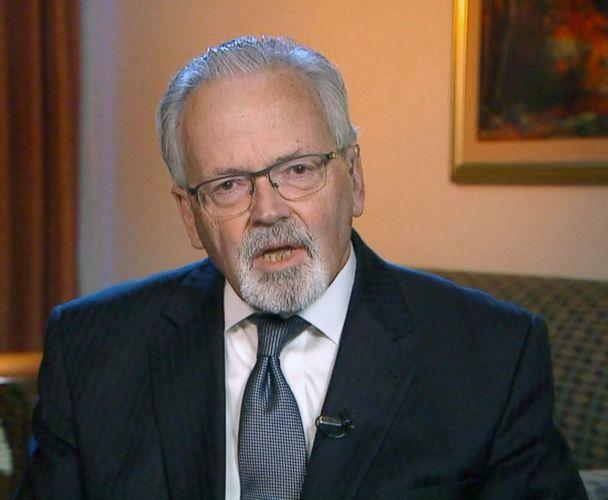 In an interview with ABC News Chief Anchor George Stephanopoulos on GMA Monday, Gerrow claimed McClure was not complicit in the alleged scheme. "I think that first of all people have to understand that this was an abusive relationship," Gerrow said. "One of the reasons that I provided you the tape was to show you the nature of that. From the start, Kate thought she was helping a veteran who was homeless and that Mr. D'Amico was the one behind this and he was calling all the shots." Gerrow also downplayed the apparent trove of evidence Coffina laid out against the former couple last week, saying they purchased a luxury BMW, numerous high-end handbags, and "hit the casinos hard." Gerrow conceded D'Amico did purchase a handbag worth about $1,000 and that McClure bought one for about $800, but said they were purchased online and that the bags were used. "In terms of the BMW, we're talking about a 2015 BMW, hardly top of the line and they paid $17,500 for it," Gerrow said. Asked why McClure didn't go to authorities sooner to implicate D'Amico and Bobbitt in the alleged scam, Gerrow said McClure always thought she was helping a down-and-out homeless veteran. "At that point in time, she didn't understand or appreciate the fact that this might very well be a crime," Gerrow said. "What she's talking about and what she thought all along was the fact .... that she was trying to help this homeless man." Gerrow said McClure is remorseful. "One of the things that she does feel remorse about is the fact that this has garnered such publicity and will cause people perhaps to have second thoughts about giving, especially in this time of year," Gerrow said. "I know she's concerned about what this has done to her family and, quite frankly, it has traumatized her." D'Amico and McClure were arrested last week and released from custody pending a court hearing on Christmas Eve. Bobbitt was arrested in Philadelphia last week and remains in custody, facing extradition to Burlington County.